Now, you may be wondering how one or two or three little lamps in your home can affect all of these things, but if you take a closer look, you will find that the properties of Himalayan Salt Lamps, and the properties of mineral salt in general, are consistent with the benefits that people feel from having them around. What this means is that your Himalayan Salt Lamp absorbs water in the air. Because impurities in the air from air pollution and other contaminants are generall carried around in water vapour in the air, this means that the salt lamp attracts that water, and the impurities, and then the gentle warmth of the lamp evaporates the water, leaving the impurity behind, locked in the ionic crystal matrix of the lamp. The air quality in our cities is noticeably different to that in the countryside, as you have probably noticed, and for this reason salt lamps and other types of negative ion generators are becoming increasingly popular with city-folk. Environments that are rich in negative ions have long been believed to be beneficial to the health, particularly of the respiratory system, but also to skin conditions. Salt baths, salt spas, living by the sea or up in the mountains – humans have always known about the healing properties of environments that are rich in negative ions, long before we were speaking about things in terms of negative or positive ions. The fact is that combustion engines, generators, sub-stations, electrical equipment – things that you find in abundance in any modern city, generate positive ions. Positive ions are proven to be detrimental to health – because of their ability to ionise things that they come into contact with. If that thing is your skin, or the delicate mucous membranes of your eyes, nose, or lungs, then this can cause real problems for some people, especially over the long term. Since Salt Lamps generate negative ions, and absorb positive ones through hygoscopic action, it makes sense that people would report benefits to such a wide range of conditions from having them around. 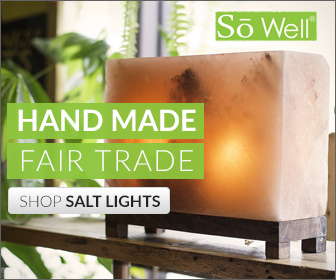 The bottom line, if there is one, is that Himalayan Salt Lamps are beautifu and give off a warm, sleepy glow that makes them perfect for bedroom lighting and evenings when you are winding down. They do also generate negative ions, and remove impurities from the air. Will you feel noticeable benefits from having one or two or even three around your home? That remains to be seen. Everyone is different. I for one do not suffer from sleep problems or respiratory problems, so I really wouldn’t know, but I still love our Himalayan Salt lamps and intend to collect a fair few as I go along. They make great gifts. 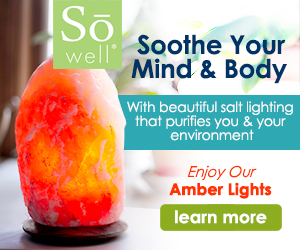 The fact is that if you are experiencing serious health problems, then you are better off seeing a doctor than pinning all your hope on a piece of rock, but that doesn’t mean you shouldn’t get a Himalayan Salt lamp anyway. They are stylish, pretty and very low maintenance. I think it is unlikely we will ever get a comprehensive understanding of all their benefits, but the fact is that millions now swear by them, so what are you waiting for?